Borough of Camp Hill Police Dept. George Schwarz, CPFP, Fleet Administrator, Borough of Camp Hill Police Dept., Harrisburg, PA is a man who has seen it all. Fortunately for NAFA members, he has been gracious enough to share that knowledge with peers and colleagues. George has been one of NAFA’s most vocal supporters and has been instrumental in all aspects of the Law Enforcement Group including service as Chair during 2011-2012. He has also been recognized for his ideas and contributions to fleet via the Larry Goill Memorial Quality Fleet Management Idea Award in 2002. George spoke to us recently about his career, how fleet and vehicles have changed, and his relationship with NAFA. To read a complete interview with George, click here. Steve Contarino, Vice-President of Adamson Industries Corp., founded the company alongside his wife and President, Kim Contarino back in 1984. Working out of a small office space with a one bay garage, Steve and Kim have built Adamson Industries to what it is today. Located in Haverhill, MA, Adamson Industries’ 56,000 sq. ft. facility operates with a staff of just fewer than 50 employees. Recognized nationwide as a leader in the industry, up-fitting more than 2,500 vehicles in year and offering public safety vehicle products nationwide. As a reputable figure in the police fleet industry, Steve is often invited as a guest speaker at trade conferences such as NAFA’s I&E and Police Fleet Expo. Steve is also a published writer for industry trade publications including Police Fleet Manager and Police & Security Magazine. Dennis Morgan began his career in logistics with Consolidated Bathurst, and later moved to Toronto to take a position with Cyanamid Canada. ” I joined NAFA when I assumed the responsibility for the Cyanamid Canada fleet,” Dennis said. He would become Director of Administrative Services with Wyeth Canada after the company acquired Cyanamid. “During this time, I served with the NAFA Ontario Chapter as Assistant Chapter Chair, and then two terms as Ontario Chapter Chair,’ Dennis said. “I had an amazing 36 year career in the fleet management industry. I joined PHH (now Element Fleet Management) in 1975 and enjoyed a wide-range of roles from statistical research analyst, technology support services, and retiring as Vice President, Business Development in 2011. “I joined NAFA in 1989 and still have fond memories of my first conference in New York City. Little did I know then that I would spend the next 25 years attending conferences and chapter meetings! In the 1990’s, I spent most of my NAFA involvement in supporting roles at the chapter level and was a charter member of the Hartford Chapter. I later became involved with the National NAFA organization, where I had the opportunity to serve on the FMI Curriculum Committee, the Education Development Committee, Chair of the Affiliate Committee, and serve as Affiliate Trustee on the NAFA Board 2007-2009. I was very fortunate to have had the opportunity to become active in this industry and serve in various roles in NAFA and AFLA. It was a tremendous learning experience and helped develop a valuable network of contacts and best of all, lifelong friendships. NAFA thanks George, Steven, Dennis, and Deb for their years with the Association! It is the strength of our members that have helped make NAFA the strongest association in fleet management today. John McDiarmid is a member of NAFA’s Ontario Chapter and served as Vice Chair 2000-2002. John also was a member of the National Audit Committee 1992-1993. Michael Hardesty, CAFM®, capped a thirty-year-long career with Indiana University as Fleet Manager – in addition to a previous twelve years as a business manager at car dealerships – in 2012. During his time, Mike has had oversight of a fleet of 500 vehicles, and has proven over the years to be the level-headed, business-oriented constant necessary for a constantly changing industry such as fleet is. In just his fleet at Indiana U., Mike saw dramatic shifts, such as when the school moved from vehicle ownership to leasing. Mike has been a major presence in the Tri-State chapter, serving on the Board of Governors as Chapter Chair. He was formerly Co-Chair of NAFA’s National Public Service Committee as well. “I won’t be an active Member anymore, but I have my alumni membership. I may attend a conference or two yet, and I haven’t completely closed the door to other possibilities in the fleet business,” he said. “I had an outstanding career in the automotive management industry. After 40 years — almost all with Wheels Inc. as Vice President of Sales — I retired in December 1995 as Senior Vice President. “Since then I have lived up to the Rotary motto of ‘service above self.’ I spend my time volunteering as a Rotarian and also I took a course to become a court advocate for the sexually assaulted and abused. I go to court so the survivors of such horrible experiences don’t have to go to court and relive it. I am with Zacharias Sexual Abuse Center who work very hard to make these people whole again. “I am involved with a Rotary Club in Belfast, Northern Ireland, where I work with high school kids, mentoring them on mediation between the Catholics and Protestants. In other words, settle problems without killing one another. Plus, I have worked to help other community services. Andrew is a member of the Chesapeake Chapter. Allan is a member of the New England Chapter. NAFA thanks John, Michael, Ted, Andrew, and Allan for their years with the Association! It is the strength of our members that have helped make NAFA the strongest association in fleet management today. Clyde Sutton is Vice President at Sutton Leasing, a national leasing and fleet management company owned by his father. Primary areas of emphasis include sales to national fleet accounts, as well as development and implementation of operational changes required by growth. During his employment Sutton Leasing has grown from having 1000 units leased to a 15,000-unit fleet management company. He is the perennial top sales person. He has implemented fleet management programs at Sutton and enrolled many national accounts. He has developed new leasing programs from design, sale and implementation. He has been responsible for the “Extremely Satisfied” customer satisfaction rating earned by Sutton. He has led teams comprised of both sales and operations functions. Clyde is also very active in social and philanthropic organizations and the Detroit Athletic Club. Penny is a member of the Chicago Chapter and was a member of the I&E Arrangements Committee, 1995-1996. Peter Mitchell is CEI’s Northeast Regional Sales Manager and has been a NAFA member with the Philadelphia Chapter and Regional Affiliate since joining CEI in 1989. Pete has been a board member of the Philadelphia chapter for 20 years. He is currently Co-Secretary of the Philadelphia chapter and Chair of the Nominations Committee. Brian is a committed chapter volunteer for the Mid-West Chapter, having served as Chapter Chair, 2001-2003; Chapter Certification Committee Chair, 1993-1994 and 1995-1997; Chapter Program Committee Chair, 2011-2013; and Chapter Arrangements Committee Chair, 2011-2013. Edward is a member of the Mid-West Chapter. NAFA thanks Clyde, Penny, Pete, Brian, and Edward for their years with the Association! It is the strength of our members that have helped make NAFA the strongest association in fleet management today. In 1989, Carl received the Distinguished Service Award, NAFA’s highest form of recognition bestowed upon those with exemplary professional and personal contributions to the industry, society, and/or community. A Club NAFA member, Carl is a dedicated Chapter Volunteer, and has served as Quebec’s Chapter Membership Committee Chair (1992-2001) and Chapter Reception Committee Chair (2010-2015). Gene served as Chapter Program Committee Chair (1992-1993) for the Mid-America Chapter. NAFA thanks Gene for thirty years with the Association! It is the strength of our members that have helped make NAFA the strongest association in fleet management today. Tom is the current President of the NAFA Foundation and President of the Empire Clean Cities Coalition. Tom is also a lifetime Honorary Member of NAFA Fleet Management Association and a former NAFA Vice President, and continues to play an active role in NAFA as a member of the Board of Directors of the New York – InterCounty Chapter. He is also a member of NAFA’s Law Enforcement Group. Club NAFA member Sandra Klontz has been a committed volunteer and supporter of NAFA for many years. She was National Program Committee Chair in 1992-1993. For her dedication, she received the Distinguished Service Award in 1993. Sandra has also proved invaluable to her home chapter, the Colorado Chapter, and to the chapter structure in total. She has served as Chapter Program Committee Chair (1993-1994), Chapter Arrangements Committee Chair (1994-1995), Chapter Reception Committee Chair (1994-1995), and as Chapter Membership Committee Chair (1997-1998). Carl is a member of the New York-InterCounty Chapter. Josie Sharp, CAFM®, has proven her commitment to her home chapter, the Philadelphia Chapter, on numerous occasions. She held the position of Chapter Chair for 1995-1996, 2000-2001, and 2001-2002. She was also the Chapter Editorial Committee Chair (1996-1997) and Chapter Program Committee Chair (2003-2004). NAFA thanks Sandra, Carl, and Josie for their years with the Association! It is the strength of our members that have helped make NAFA the strongest association in fleet management today. In 2015, Kay Koenig will celebrate 50 years of association with Sandman Bros., Inc. Although “officially” retired she still consults with Sandman Brothers on occasion. Kay and Sandman Bros., Inc. were contacted by General Motors to do courtesy deliveries because GM couldn’t find anyone to do courtesy deliveries in the Indianapolis area. She was honored by both GM and Chrysler (now FCA USA) for the volume of her sales. Her association with NAFA began in the late 70’s. She was one of the first women in fleet sales. Kay worked with Buick to put their vehicles in the Fleet Fair – it was the first time vehicles were actually put on the floor of the fair. Kay was the first woman to become National Affiliate Chair, and during her years on the Affiliate Committee she helped plan several successful national Affiliates’ nights. Kay was active in the local chapter and planned many chapter events – including the first Tri-State Affiliates’ Fair and Ride & Drive. She travels, presents workshops, and volunteers. She enjoys her children, grandchildren, and great grandchildren. Her husband, Lance, of 36 years, died in 2012. “I was a young man when I joined NAFA in 1984. Back then I was the newly minted Fleet Administrator at General Instrument in New Jersey. Since then, I became the Fleet Manager at Lehn & Fink, and later moved to Colorado where I worked in a sales and marketing capacity for several fleet management companies that managed diverse fleet products such as accident management, subrogation, vehicle remarketing, vehicle transports, and fuel cards. I even spent some time as the part owner of two different companies, one handling transports, the other in remarketing. “During all those years there’s been one constant: NAFA. I’ve been a member of NAFA for thirty years now, both as a Member and as an Affiliate. And I’ve been active nationally and on local board for that entire time. I have always found that I get more out of something when I put effort into it – and I have gotten a lot out of NAFA! David is a member of the NorCal-North Nevada Chapter. NAFA thanks David for twenty-five years with the Association! It is the strength of our members that have helped make NAFA the strongest association in fleet management today. A Member of NAFA from 1970 to the present, Club NAFA member Earl Mitchell was a Corporate Fleet Manager at Owens-Corning for 25 years. Later, he formed Mitchell & Associates Travel Consultants in Toledo, OH. He is now retired. Earl has been an active participant in NAFA leadership, including his role as Chair of the Tri-State Chapter (1986-1989); Chair of NAFA’s Audit Committee (1989-1991); Co-Chair of NAFA’s Safety Committee (1991-1993); Co-Chair, GM Fleet Safety Symposium (Michigan); and a frequent NAFA Workshop Presenter (Various Topics). For his tireless efforts in the fleet profession Earl has received GM’s Certificate of Recognition, NAFA’s Certificate of Appreciation, and recognition in many fleet publications. Congratulations to Earl Mitchell! Thank you for being part of the NAFA family. Allen M. Mitchell’s previous experience includes 5 years as Equipment Supervisor with the King County, Washington Department of Public Works; 9 Years as Transportation Officer & Manager with Rainier National Bank; 2 and 1/2 years as Motor Pool Supervisor with the Washington State Motor Transport Division and over 4 years of active duty military experience as a Maintenance Officer in the US Army where he attained a rank of Captain. While with Snohomish County, Allen was responsible for managing 2,600 fleet assets valued at $54 million. He supervised a staff of 49 fleet personnel at 3 locations and managed a $29 million annual budget. In October 2008, Snohomish County was designated as a “100 Best Government Fleet” and ranked #3 as a Government Green Fleet of 38,000 public fleets. He has been a NAFA member for 30 years and has served 4 terms as Puget Sound Chapter Chair, in many other chapter positions, and has served nationally on the Membership and Law Enforcement Committees. In 2011, Allen transferred from Snohomish County to Arlington County, subsequently retiring in November 2013. NAFA Affiliate Dennis J. Jones is a member of the Chicago Chapter. NAFA thanks Dennis for twenty-five years with the Association! It is the strength of our members that have helped make NAFA the strongest association in fleet management today. William is a member of the South Central Chapter. NAFA thanks William for twenty-five years with the Association! It is the strength of our members that have helped make NAFA the strongest association in fleet management today. William is a member of the Greater Pittsburgh Chapter. NAFA thanks William for twenty-five years with the Association! It is the strength of our members that have helped make NAFA the strongest association in fleet management today. Mike is a Club NAFA member as well as a member of the Atlanta Chapter. NAFA thanks Mike for his years with the Association. It is the strength of members like him that have helped make NAFA the fleet industry’s strongest association. 2014 finds Kathe Carter joining illustrious company as part of Club NAFA. She is a longtime fleet expert and an asset to the Association. In 2006, joined Mercury Associates Inc. as a Senior Associate Fleet Consultant. As a part of the Mercury team she conducts fleet reviews, assessments, and analysis and offers detailed strategic and tactical recommendations to maximize fleet effectiveness and efficiency. During her 30-year career with the State of Michigan, she held positions that began with responsibility for the state’s 8,000 vehicle fleets. As the State’s Deputy Director for Management her statewide responsibilities included Vehicle and Travel Services, Facilities, Mail, Logistics, Printing, Real Estate, Bonding, and Risk Management. Kathe optimized the use of employees, external service providers, contracts, and inventory to provide high quality fleet service at the best value. In addition, she led the consolidation of the State’s fleet operations and brought the viable financial alternative of fleet leasing into the public sector. 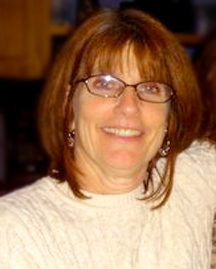 Kathe has developed and led seminars on a variety of business and fleet topics. She has also been instrumental in developing NAFA’s services to public safety and utility fleet managers. She contributed to NAFA in a variety of ways, including teaching and curriculum development and holding a variety of offices, including Vice President. Kathe is a recipient of the NAFA Distinguished Service Award. Formerly the Fleet Manager for the City of Daytona Beach, FL, Jon Crull, CAFM®, (pictured at right next to then-NAFA President Christopher Amos, CAFM®) has been active in many levels of NAFA’s inner workings. Crull has served his local NAFA chapter, the Sunshine State Chapter, in nearly every capacity, including three terms as Chapter Chair. He has served on the national level as Chair and Vice Chair of two large committees: the Arrangements Committee (2004-2006) and the Public Safety Group (2006-2009). Crull has also been a member of the national Nominating Committee and the National Curriculum Committee (2006-2011). He has also contributed to the National Membership Committee 2003-2004; National Public Safety Group 2006-2009; Education Steering Board 2007-2008; and National Certification Board 2010-2011. He served as Secretary for The Center for Professional Fleet Certification (CPFC) 2010-2011. Becky Hanna, formerly of Hallmark Cards, was a Chapter Leader for the Mid-America Chapter from 1992-1996, and again from 2001-2012. It is the strength of members like Becky that have helped make NAFA the fleet industry’s strongest association. Joe Pelehach joined Motorlease as a sales trainee in 1988. Subsequently, he was promoted to Account Executive, Senior Account Executive, and Regional Manager. In 2009, the Motorlease shareholders elected him to the Board of Directors. Today he is Vice President with responsibility for the Northeast Region and a team of people. In addition, he is dedicated to serving his community of Canton, CT. He has served on the boards for Little League and basketball and coached baseball, softball, basketball, and soccer for more than a decade; He also served on his town’s planning commission. Pelehach earned a BA in economics from the University of Connecticut. NAFA thanks everyone for their years with the Association. It is the strength of members like them that have helped make NAFA the fleet industry’s strongest association.